A VPN (virtual private network) encrypts your Internet connection to keep your information private while online in China. 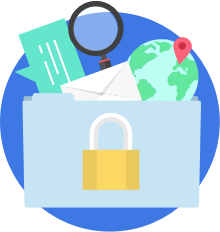 A VPN allows you to select your IP address from various server locations around the world, so your personal IP address and location remain private. Encryption, such as the OpenVPN 256-bit protocol used in VyprVPN's Chameleon technology, is employed to secure all data and communications sent over the connection. This allows you to avoid blocks imposed by the Great Firewall and escape censorship while using a VPN in China. A VPN also secures your connection, so you don't need to worry about anyone violating your privacy or intercepting your communications. When in China, it can be difficult to share your photos and thoughts with friends and family over Facebook. VyprVPN makes it easy to bypass location-based IP blocking to access Facebook in China. Choose one of VyprVPN's server locations in North America, South America, Europe, Asia, Africa or Oceania and experience the Internet without restrictions. 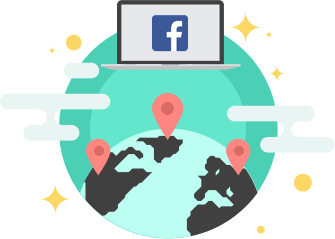 Escape the Great Firewall with a VPN, and stay connected on Facebook at all times.